Welcome to the home of SA Powerlifting. The South African Powerlifting Federation is the only recognised governing body of all Powerlifting in South Africa and is registered with the National Department of Sport and Recreation and is also a member of SASCOC. In addition, the SAPF is a member of the International Powerlifting Federation recognised as "an affiliated National Federation". 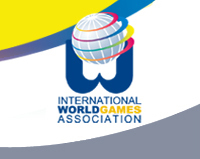 All of the foregoing bodies exist in order that athletes may compete at national level and represent their countries at international levels under a unified structure and sets of rules; level playing fields. This website is dedicated to the advancement of the sport of powerlifting in South Africa. Here you'll find information about all aspects of powerlifting including details about upcoming competitions and full results of past competitions. You can use the menu bar on the left to navigate your way around this site. Are you considering taking part in a powerlifting contest? Go to the "Contacts Details" page to reach competition organisers in your area. Check the qualifying standards to get an idea of what it takes to be competitive. Click on "Create new Account", enter your email address, and you will notified by email of all upcoming news and events. Are you considering taking part in a powerlifting contest? Go to the contacts page to reach competition organisers in your area. Don't think you're good enough? Check the qualifying standards page to get an idea of what it takes. Should you like to be notified whenever we update this site then login and register your contact details. Welcome to the new home of SA Powerlifting. This website is dedicated to the advancement of the sport of powerlifting in South Africa. Here you'll find information about all aspects of powerlifting including details about upcoming competitions and full results of past competitions. You can use the menu bar on the left to navigate your way around this site. Where do we pay for SA's?